Isabel Zuber was born and grew up in Boone, North Carolina. 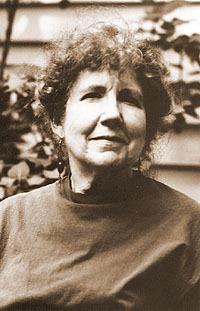 Her poetry and short fiction have appeared in a number of literary magazines, including The American Voice, Poetry, Now & Then, Pembroke Magazine, and Shenandoah. She received the Lee Smith Award for Fiction from the Appalachian Writers Association, the University of Tennessee Press short story prize and was selected last year as one of the readers in the Blumenthal Writers and Readers Series. Her poetry collections are Oriflamb, winner of the poetry chapbook contest of the North Carolina Writers Network in 1987, and Winter's Exile (Scots Plaid Press, 1997). Salt, which received Virginia Commonwealth University's First Novelist Award, was published by Picador in 2002. Zuber, who lives in Winston-Salem, North Carolina, where she was a librarian at Wake Forest University for many years, is now writing full time.